Completed 2011. 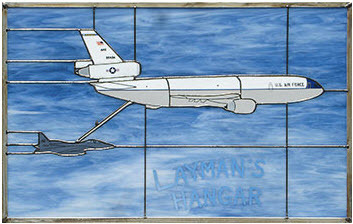 This scene depicts the last KC-10 painted in the original, striking colors as first delivered to SAC / MAC as it refuels an F-15C from Elmendorf AFB, AK. 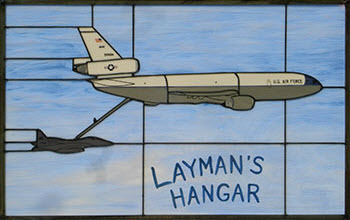 The panel will be installed in the back-bar at Mr. Layman’s house.